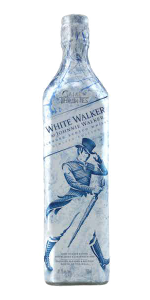 This whisky is a tie-in to the final season of Game of Thrones in 2019. It uses malts from Cardhu and Clynelish at the heart of the whisky, which is designed to be served cold. At room temperature, though…the nose is fruity with touches of citrus, peaches, and apricots, along with hints of butterscotch and vanilla in the background with subtle touches of oak and spice. The taste is crisp and fruity with citrus, peaches, and apricots followed by a soft buildup of allspice and ginger with dried flowers and honey underneath. The finish is long with lingering allspice and fruity notes.